In a speech in front of the House of Representatives (DPR) Indonesian Finance Minister Sri Mulyani Indrawati said the government targets an economic growth rate in the range of 5.4 - 5.8 percent year-on-year (y/y) for 2019. She said this range is a realistic one. Moreover, growth should be inclusive and equal, meaning all people across the nation should see an increase in their welfare. The government will give special focus on the acceleration of growth in eastern Indonesia, border areas, the outermost areas and underdeveloped regions. Indrawati added that one of the government's efforts to boost economic growth involves prioritizing the value-added economic sectors, so that the domestic market becomes stronger and productivity rises. One of the economic sectors that has added value and should therefore be developed is the digital economy. In Indonesia this sector is in need of quality human resources that are productive, innovative and show great competitiveness. The lack of quality human capital in Indonesia's digital economy is actually one of the main reasons why the Indonesian government recently introduced a new regulation regarding foreign workers. By cutting bureaucracy the government hopes to see more high quality foreign workers coming into Indonesia to work at companies that are engaged in the digital economy, and who can pass on their knowledge and skills to local workers. Indrawati said the growth momentum of investment and exports is also set to continue as the government has been eliminating various regulations that hamper development, while implementing reforms in the field of taxation and employment. The Indonesian government is currently also designing a variety of attractive and competitive fiscal incentives with the aim to boost investment as well as exports. Indonesia's budget deficit is targeted to narrow to between 1.6 - 1.9 percent of the nation's gross domestic product (GDP) in the 2019 State Budget, down from 2.2 percent in the 2018 budget. Regarding inflation, Indrawati said the inflation target is set in the range of 2.5 - 4.5 percent (y/y) for 2019, a low level by Indonesian standards and one that helps to enhance consumer purchasing power and encourage household consumption. To keep inflation under control, the government will continue to focus on the supply and demand balance of food products. Besides government administered price adjustments, volatile food price movements have a major impact on the direction of Indonesian inflation (earlier Indonesian President Joko Widodo had already confirmed that adjustments in subsidized fuel prices and electricity prices are not on the agenda until late 2019 and therefore it should be easier to keep inflation in check). 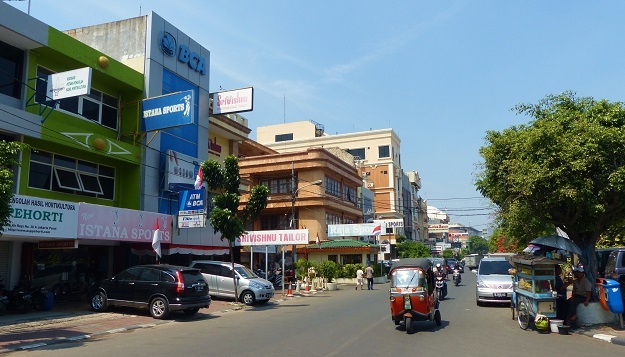 The average rupiah exchange rate in 2019 is estimated to be in the range of IDR 13,700 - 14,000 per US dollar, a significant jump from the 2018 state budget. It is difficult to determine a more exact range as there are many challenges at the moment - as well as in the foreseeable future - that put pressure on the rupiah (one of them being normalization of monetary policy in the USA). Indrawati added that (under control) rupiah weakness is not all bad because it actually has a positive impact on exports. Key is to keep currency volatility to a minimum in order to keep the investment climate attractive for investors. Indrawati said the government and central bank (Bank Indonesia) will continue to manage economic stability as well as the exchange rate movement in order to avoid heavy volatility. Meanwhile, the Indonesian crude oil price is set in the range of USD $60 - $70 per barrel in the 2019 state budget (significantly higher than the assumption in the 2018 state budget) as global crude oil prices are expected to rise due to higher demand as a result of the global economic recovery.